My my how time will change things. When I was pregnant with Olivia, I swore that I would not be that pregnant woman always wearing a kimono and a bodycon dress. Those outfit inspiration pictures were all over Pinterest. Yet, look at me feeling beautiful and comfortable in a body con dress minus the kimono. 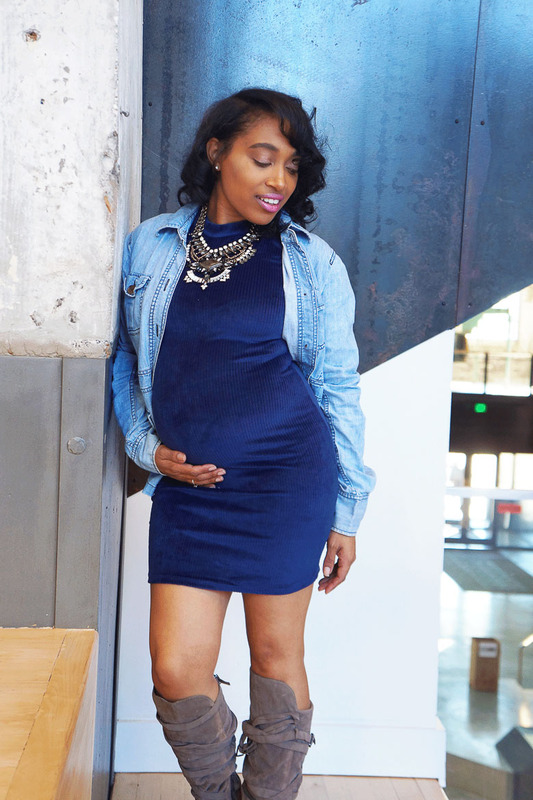 I really feel it’s important while pregnant to pull looks together that are simple, gorgeous and comfy. This is a look that I would wear on date night… when I want to look good for my husband and make some heads turn while out. Yes, he needs to know his pregnant wife still has it, honey, baby and all. Each of the pieces in the look I have owned for quite some time yet paired them differently with other pieces. I am an advocate for wearing my clothes more than once. Who really buys clothes to only wear them once?? Reworking your garments in different ways extends the life of your wardrobe and creates totally cool new looks. 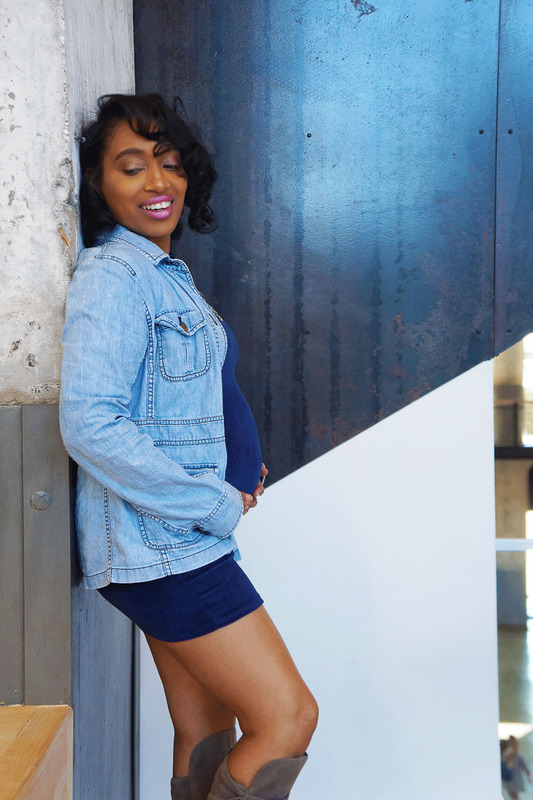 I styled my cobalt blue dress with my favorite denim jacket . I have far more love weight than I usually do so I wanted to wear a jacket to cover my every expanding hips and tush. I accessorized the look with over-the-knee boots that from my online store, Style Junkie , as well as this bold statement necklace from Rainbow, yup Rainbow. I played around with my makeup by keeping my eyes soft with a sheer pink and smokey brown liner and a pastel pink lip. I rarely do that but hey here’s to pregnancy style adventures, right.